Can I Give Up My Resolutions Yet? Good morning everyone! Short answer to the headline: No you can not. 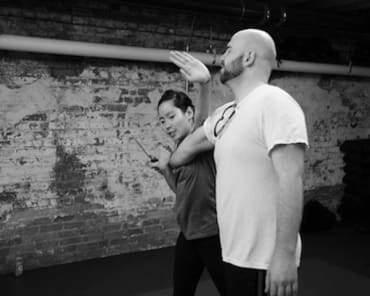 It's another wonderful week at Krav Maga Raleigh! We have one very big announcement for one of our members, an important pizza update, and the usual housekeeping on workshops and such. Read on! The first and most important news is that one of our members is celebrating his 10th anniversary with Krav Maga Raleigh! Charlie has been with the studio since January of 2019, and has trained consistently ever since. We celebrated our 10th anniversary of the studio last year, and although that was a big deal, I think it's a far greater accomplishment for one person to stay so dedicated, committed, and steady for so long. Congratulations to Charlie, and thanks for being such a big part of the studio! 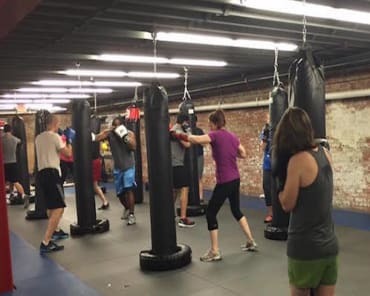 Hopefully our members know about Thursdate, but for those who don't: On Thursdays we have an arrangement with Moonlight Pizza around the corner that if you come train that day, you get a coupon for a discount on food or drinks. We are going to continue that, but to make it easier on everyone, we are going to go just once a month, on the third Thursday. Conveniently, that's this week on January 17th! So come train hard and they enjoy some delicious food or drinks with your fellow Kravies. This will be the last chance for a month, so make sure to be there! If any of our members are financially affected by this now record-setting government shutdown, talk to us at the desk. That should do it for now. We're about halfway through January, so it's way too soon to slack on your resolutions! See you on the mats!